The DIV-Net: Is now the time to start looking at US ETF REITs? Is now the time to start looking at US ETF REITs? Every industry faces periods of rise and periods of decay. The last few years have, not surprisingly, been a period of decay in the REIT Area. But like nuclear stocks after 3 mile island, or banks after the savings and loan scandle, or bonds after the junk bond era, after a sector has been desimated what is often left are the high quality well managed companies that will rise to dominate the sector in the future. Is now the time for REITs? Equity REITS: Invest in property and gain revenues from collecting rent. 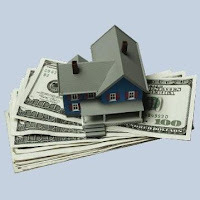 Mortgage REITS: Loan money for mortgages or buy and sell mortgage backed securities. Hybrid REITS: You guessed it, they do both. I am not a big fan of Mortgage REITs, in my opinion they partake in the buying and selling of paper. Paper that is difficult if not impossible to assess its true value. For those more in the know these types of investments may make sense. I follow Buffett's advise when it comes to these matters, if you can't understand it then don't buy it. So that leaves us with Equity REITs. These REITs employee people who specialize in real estate industry they understand the simple formula (rent - upkeep) > mortgage. With housing prices depressed all across the US those companies that are still alive in this sector are starting to gather steam and acquire great properties. Regardless of what happens over the next few years people will still need properties to rent. Unless you believe that housing prices have a significant way to fall yet this is certainly an interesting sector to examine. To further diversify there are several ETFs that deal with REITS if we look at each of these compared with the S&P over a two year and five year periods the industry is quite depressed from its highs. To be clear I am not advising you date the REIT sector, but if you are looking to diversify your portfolio and hold a stock or ETF for 10 years it might be a good time to look at this sector.